Like many other new home owners in Singapore, you might be asking yourself what the carpet cleaning Singapore price is so that you can budget accordingly. We are here to explain to you everything you need to know. Just read on. The amount of money you will need for your carpet to be cleaned or vacuumed by professional cleaners in Singapore will vary from one cleaning company to another. 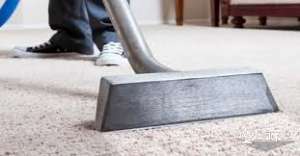 The difference in carpet cleaning price in Singapore is due to many different factors. However, it’s important to note that the cheapest carpet cleaning company in Singapore will charge you as low as $50, while the most expensive company will require you to pay up to about $400. As mentioned before, there are various factors that will determine how much a company will charge for cleaning or vacuuming your carpet. Let us explore the most common factors and find out how they can determine the cleaning fees a particular company will ask you to pay. The material or fabric used in making a carpet can have a significant effect on the overall price of the cleaning services. I bet you already know that carpets are usually made from a range of rug materials. While some rug materials have soft fabrics, others have very tough fabrics. On the same note, others use several colors while others use only one color. This therefore means that different rug materials require different procedures or methods of cleaning. 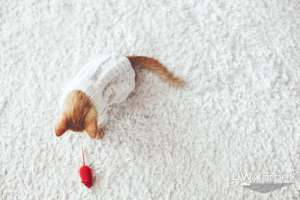 Precisely, a rug made of cheap materials will attract low cleaning price, while a rug made of expensive materials will be costly to clean because the cleaners has to preserve the material during cleaning process. Rug size is another factor that determines the cost of carpet cleaning in Singapore. This should be self explanatory anyway. There is always a direct proportion between the size and the price. Precisely, the price of cleaning a rug increases with the size of the rug. 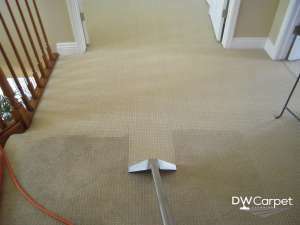 Handling a larger carpet is more complicated as compared to handling a smaller one during the cleaning process. Furthermore, a bigger one also requires more cleaning products, more labor, more space and more time to clean. So, when you are going to inquire about the carpet cleaning price in Singapore, we advise that you first measure and obtain the exact size of the carpet you want cleaned. Experience of a company in offering cleaning services usually determines how much it charges its services. A startup company will definitely offer the cheapest carpet cleaning in Singapore for various reasons. First, it doesn’t have clients yet, and they are trying to set foot in the industry by starting from as low as they can. Secondly, it is trying to retain the few clients who have already tried its services. Again, they haven’t built their reputation and therefore, people still don’t trust them. In simple term, their main aim for charging much less is because they want to attract customers. So, if you are on budget, and you are looking for a cheap carpet cleaning service in Singapore, simply go to these companies that are just starting. A cleaning company that has been operating in Singapore for years is obviously going to charge you more for their services. The fact that they have plenty of experience is enough to attract customers because they look more trustworthy as compared to startup companies. These companies also have the required resources to get the job done perfectly. Professional cleaning companies will look at how dirty the carpet is before they can quote the amount you should pay for it to be cleaned. The dirtier it is, the more expensive it will be to get cleaned. The types of stains on a carpet are what determine how dirty that carpet is. Some stains will require complex cleaning procedures, and this means that if your carpet is full of such stains, you will have to pay more money for its cleaning. If the stains are very easy to remove, it means that the cleaning procedure will be simple, and therefore, you will be charged less.